Just center your phone on the charging station after the station is powered, then it begins to charge. Simple and convenient. Please make sure your phone is put in the magnetic inductive center while charging wirelessly. 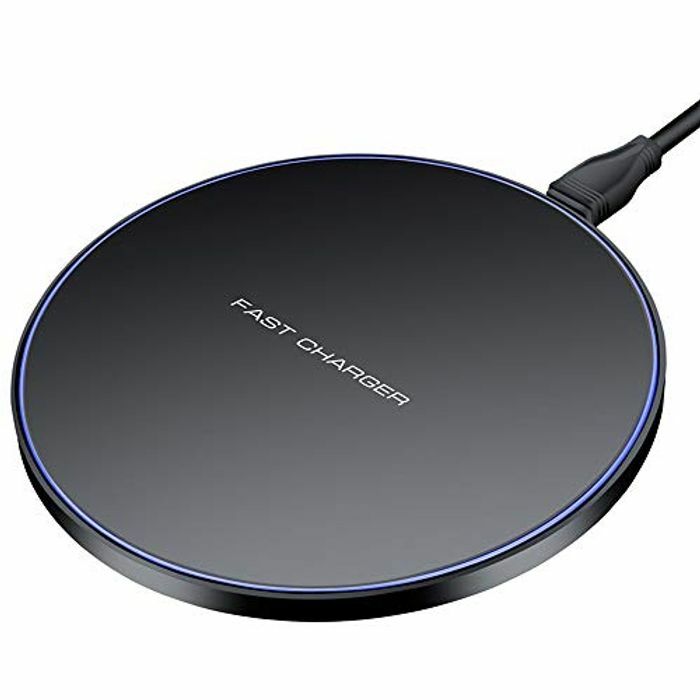 Up to 5V-2A input and 9V-1.2A output, this wireless charger has a maximum output of 10W, which is 2 times faster than standard wireless charging mat 5W, it can charge your devices in high efficiency. ( Recommend connect with 5V /2A wall charger, so it will charge at lightning-speed). CE, RoHS, FCC certified. Built-in over-charging and over temperature circuit protection, never overcharges your battery or wastes energy. Blue breathing light indicates that your phone is charging.